It may be controversial but MHM loves this incredible 3D sculpture. 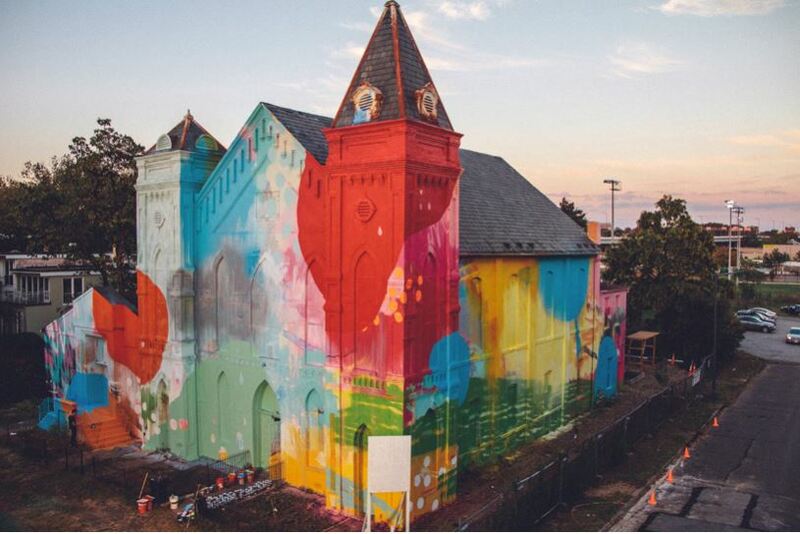 Atlanta-based artist Alex “HENSE” Brewer, was commissioned in 2012 to convert an abandoned church in Southwest DC into an eye-catching work of art. 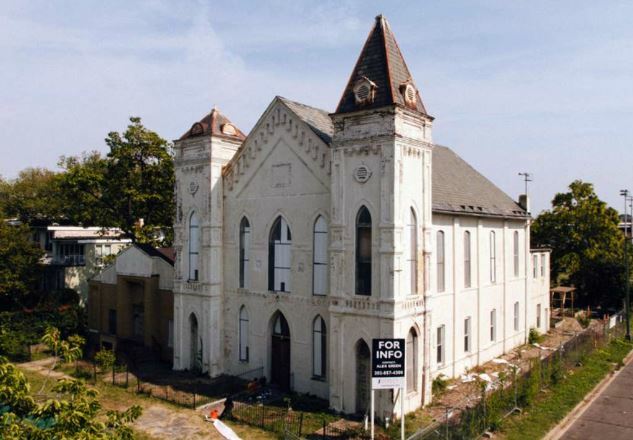 The building, constructed in the early 1900s, was formerly the Friendship Baptist Church and was designated a DC historic site in 2004. The church had been offered for sale for years with no takers. Once boarded up and in a state of disrepair it now stands as a colourful and playful street mural. The bright colours and contemporary design successfully highlight the traditional architectural details such as arched windows and dentil mouldings. The artist has built up layers of colourful, almost fluorescent paint, different shapes, drips and drizzles, upon the textured façade. Existing cracked and peeling paint on the old building remains visible through cracks through new paintwork. 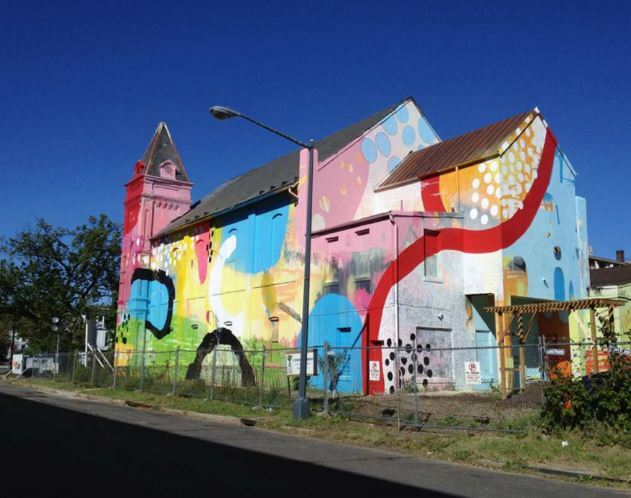 The commission was part of an overall plan to turn the southwest district into an artist hub. The building stands across the street from a planned art museum and hotel complex that will house the Rubells collection. In describing the project, HENSE says, “Taking an existing building like the church and painting the entire thing re-contextualizes it and makes it a sculptural object. We really wanted to turn the church into a three-dimensional piece of artwork.